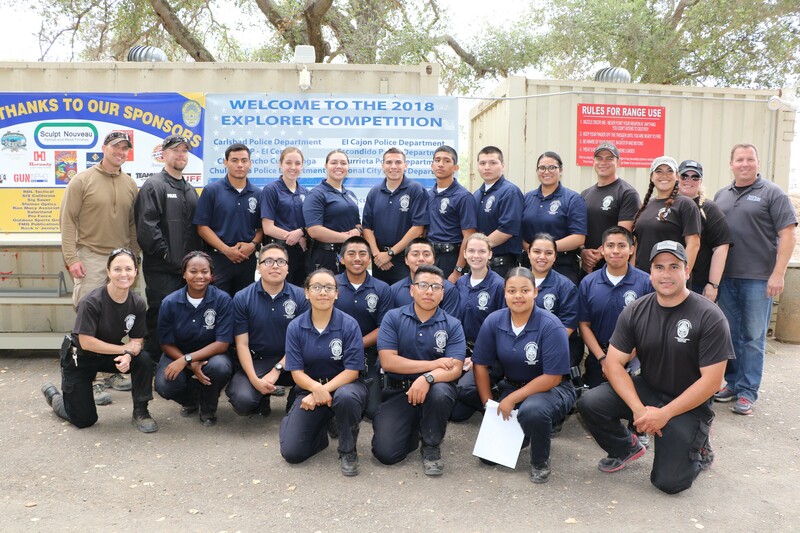 The Escondido Police Cadet Post is on the lookout for motivated young men and women ready to meet the challenges of law enforcement and public service. The Escondido Police Cadet Post gives young men and women, ages 16 to 20 (can apply at 15 ½) a first-hand look at the law enforcement career field. Cadets receive hands-on training in areas such as traffic control, enforcement stops, interviewing witnesses, search and rescue, and conducting investigations into serious crimes. Cadets also participate in special events such as assisting at sobriety checkpoints, security at sporting events, and alcohol enforcement details. During monthly ride-alongs, Cadets use the police radio, assist with paper work, and directly participate in most calls for service. Most importantly, the young men and women participating in the Escondido Police Department Cadet Post serve their community in a vital and meaningful way. Community outreach programs include mentoring grade school students, assisting at various community events, and being everyday good will ambassadors for the Police Department. The life skills developed through the Cadet program shape the leaders of tomorrow. If you are between 16 and 20 years of age, can volunteer for 30 hours a month, and are interested in learning more about the Escondido Police Cadet Post, view our basic requirements through the link below! To request more information regarding Cadet hiring/recruiting, click here!